It’s impossible to say exactly why this movie caught everyone’s attention when it was released. It certainly is a product of its time, and it hasn’t dated well. The “Don’t reveal the final twist!” aspect caught on like the Rubik’s Cube. And what, you say, is the twist? The woman Stephen Rea’s Fergus loves, and has made love with, is really…dun, dun, DUH! …a man! Oh, heavens! What is confused IRA member Fergus to do? Will he still love her? Mightn’t he completely throw aside his confusion? Will anyone care?? Well, apparently major audiences, as well as all the critics, cared a lot. Reviews might have been mixed (if not leaning more towards the positive), and box-office figures less than impressive (at least in comparison to Se7en); but the fact remains that David Fincher’s follow-up to the Brad Pitt blockbuster is absolutely thrilling. 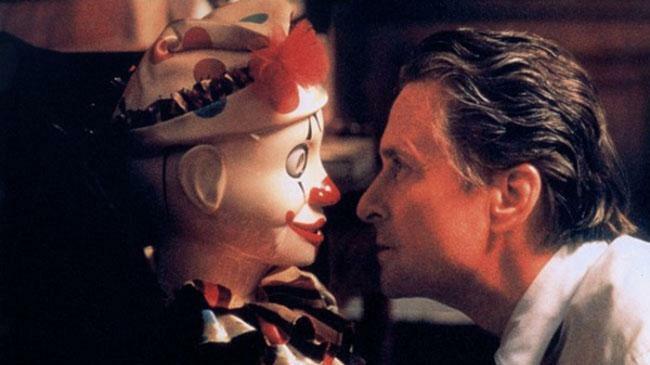 It’s truly a marvelous film; top-caliber acting from its two leads, Michael Douglas and Deborah Kara Unger; gorgeously slick production design and cinematography; Fincher’s use of Panavision fills every inch of the frame with a certain style that’s become synonymous with every film he directs. And editing that always seems invisible due to the film’s elaborate pacing. The Game is a terrifically fun ride, and keeps viewers on the edge of the their seat. There’s just one small problem. The ending. Even critics who liked The Game were left less-than-wowed by its ending. In this case, that means roughly the last three minutes, give or take a second or two. The majority of the theater were left exclaiming “Are you kidding?” The ending to The Game was so impossible and implausible that audiences may have walked away feeling duped. But the preceding 120 minutes are such a thrilling ride, it’s easily forgiven the ludicrous denouement. Certainly the oldest film on this list, SLEUTH is based on the Tony Award-winning hit play, written by Anthony Shaffer. It’s a thriller, starring Michael Caine as Milo, and Laurence Olivier as Andrew, both of whom were nominated for Academy Awards. Caine is a hairdresser whom Olivier invites to his own country estate. Turns out that Caine is having an affair with Olivier’s wife. Andrew knows everything about the affair, and a long night of good old fashioned cat-and-mouse unfolds. All of the action takes place at one location, the manor, so it looks and feels like we’re watching a play. That’s okay, as the evening’s trickery is tons of fun to watch. The set is lavishly decorated, featuring many authentic, antique wind-up figurines that illustrate Olivier’s ability to “wind up” people. 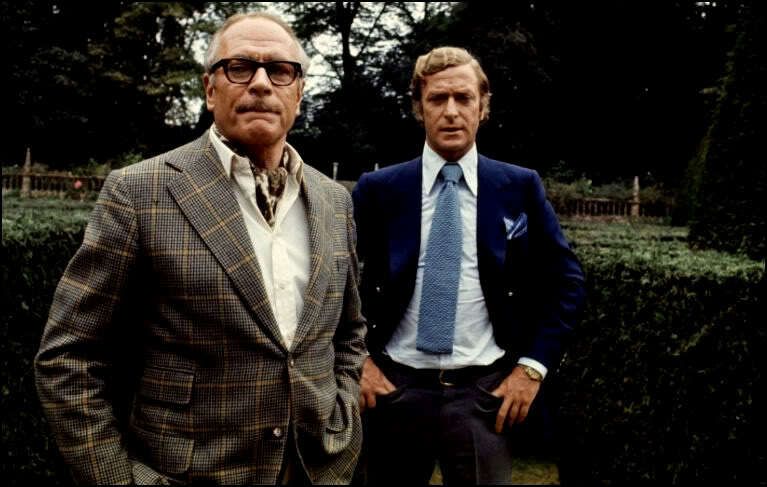 Caine and Olivier add their usual class to the proceedings and are the only two cast members in the entire film. Director Joseph L. Mankiewicz cleverly added fake actors’ names to the opening credits, in an effort to fool audiences into believing they were watching an unknown. The gimmick might have fooled audiences at the time, but the much-heralded twist ending is so obvious to modern viewers that absolutely only those with the poorest of hearing and vision could possibly be fooled. The twist at the end is that, as plainly evident; Caine and Olivier are the only two performers in the entire movie. There’s an Inspector Doppler, and a never-seen police inspector. The latter never actually appears, and the former is played by Caine wearing an obvious disguise. All anyone needs to do is hear Caine’s famous, oft-imitated voice. Or…just look at him as Doppler for longer than a second or two. Audiences love it, critics adore it, and it has withstood the test of time to achieve classic status. Don’t bother yourself trying to be fooled; it won’t happen. But if you just sit back and watch two of the finest actors of all-time mess with each other’s heads, you’ll have a cracking good time. This gothic ghost-story is impressively made. It’s very atmospheric and gloomy with an obvious nod to Jack Clayton’s The Innocents. The beautiful Nicole Kidman lives on a huge country manor with her two children and servants. “What’s really going on?” the film urges us to ask. Maybe audiences were so caught up in the film’s beauty and mysterious settings, as well as Kidman’s presence, they didn’t give a thought to the film’s question. Anyway, Amenábar’s style is highly-polished, while also being eerie and entirely watchable. Though nearly everyone knew Nicole Kidman and her two children were the real ghosts, the film remains a better-than-average “Haunted House” standout that still captures the attention. It’s the movie that earned Kevin Spacey his first Oscar. The much-promoted twist ending of this film isn’t quite like this list’s other entries. This ending actually was a surprise! “Who is Keiser Sose?” publicity asked at the time. The only problem with the “Who is Sose?” question is that when it’s answered at the very end of the movie, it completely invalidates everything you have seen up until that point. More questions are raised than at first thought. 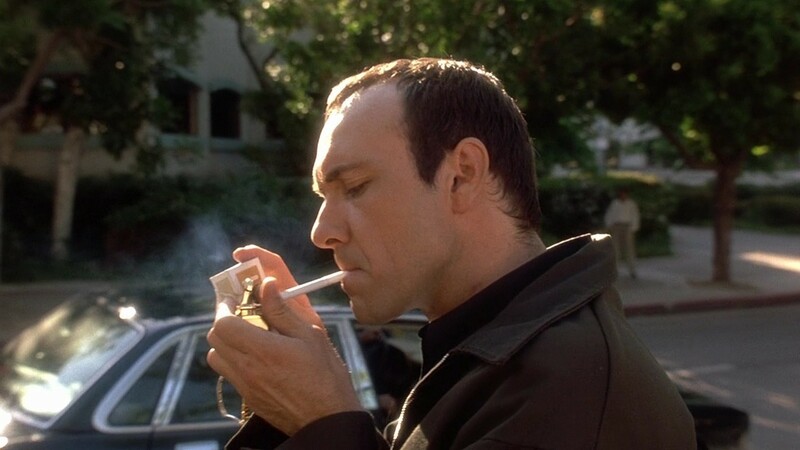 For instance; If Spacey’s Verbal Kint was making up the entire story told to the detective, then we actually never know what DID happen. Everything we’ve seen has been made-up by Kint. That made some viewers feel duped. It is a confusing screenplay, by Christopher McQuarrie. The film is well-acted and well-directed by Bryan Singer, and shows off some very clever editing by John Ottman. The action certainly keeps turning and “twisting” until the very end, which either satisfies, or doesn’t. It definitely puts a question in your mind about what you have just seen. Frustrating to some, terrific and memorable to most, this is certainly a film which has an impeccable reputation. The large number of cult followers will certainly defend their favorite film and vehemently disagree about the veracity of its “twist.” Alas, some people who’ve seen it, maybe even more than once, still are not converts. Author Bio: Christian Olson is a Chicago Comedian/Improvisor/Actor who hates writing about himself in the third person.